Ayurveda is one of the great gifts of the sages of ancient time to mankind. It is one of the oldest scientific medical systems in the world, with a long record of clinical experience. However, it is not only a system of medicine in the conventional sense of curing disease. It is also a way of life that teaches us how to maintain and protect health. It shows u s both how to cure disease and how to promote longevity. Ayurveda treats man as a “whole” – which is a combination of body, mind and soul. Therefore it is a truly holistic and integral medical system. The word “Ayu” means all aspects of life from birth to death. The word “Veda” means knowledge or learning. 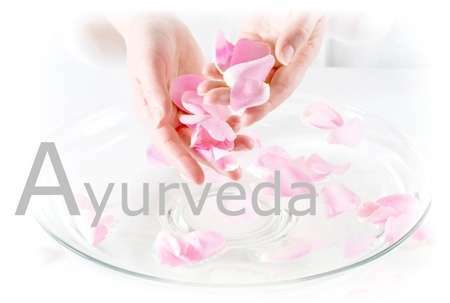 Hence Ayurveda indicates the science by which life in its totality is understood. It is a way of life that describes the diet, medicine and behavior that are beneficial o r harmful for life. The roots of Ayurveda can b e traced to the beginning of cosmic creation. Indian philosophers state that Ayurveda originated from Brahma, the creator of the universe. Brahma is not a mere individual but the unmanifest from the Divine Lord, from whom the who le manifest world comes into being. The desire to maintain fitness, health and longevity is one of the basic instincts of all creatures. Ayurveda in this respect sets the pattern for other system of medicine. It is a tradition with an antiquity comparable to that of life itself. The magico-religious aspect of medicine in the Vedas was gradually supplemented by observations base d on scientific thinking. Ayurvedic scholars from subsequent generations gave a sound and logical footing of philosophy to Ayurveda. The material scattered in the Vedas was collected, subjected to rigid tests of efficacy and systematically arranged. Such compilations were called ”Samhitas.” Man y of these compilations no longer exist. Only three authentic works have stood the test of time and are available today – the Charaka Samhita, Sushruta Samhita and Ashtanga Hridya Samhita. This great trio – the Brihatrayi as it called – has enjoyed much popularity and respect for the last two thousand years. Although these texts have undergone some modification by various authors in subsequent periods, their present form is at least 1200 years old. They are all in the Sanskrit language.